Home Shoplifting & Organized Retail Crime Prevent Shoplifting and Theft with…Music? Can classical music repel potential wrong-doers, thereby preventing shoplifting and theft? As a loss prevention agent in 2019, it’s easy to begin to feel helpless. Many retail environments have shifted to no-touch policies, as jurisdictions push legislation to ease the legal ramifications of shoplifting and theft. If you can’t stop the shoplifter as he’s strolling out your door with your merchandise, and you can’t call the police because the crime is no longer treated seriously, what tools are left in your toolbox? Through the Zones of Influence initiative, the Loss Prevention Research Council (LPRC) has developed a framework for geo-spatially categorizing opportunities in a retail environment. The goal is to provide awareness and action tools for the store’s LP decision maker in each of the five Zones of Influence. This post outlines Weaponizing Music, one of the most popular action tool concepts explored by the LPRC. The following research brief describes a study conducted in Australia/New Zealand involving the use of music as a deterrent and repellent of unwanted loiterers and potential wrong-doers. This practice has seen popularity around government buildings, parks, recreation and performance centers, and retail spaces. Cam Connections/Protection 1 has helped the LPRC to engineer and install a Weaponizing Music unit in the Gainesville LPRC Innovation Lab for further testing. In any decision process, a surprising number of factors are at play. Here, an organization looks at controllable environmental factors of a retail space and how it can influence shoplifting and theft behavior inexpensively and without alienating customers. Government officials in a suburb of Sydney, Australia, ran a six-month deterrent program meant to stop local youth from nighttime loitering. Barry Manilow music was broadcast through loudspeakers located in a local parking lot every night between 9 pm and midnight on Friday, Saturday, and Sunday. The logic was to “use music that doesn’t appeal to these people (the youths).” It was very effective. Other similar studies have tested classical music, with equal success. Elevation or Relocation? While effective in the moment, what was the eventual effect of this music? Did the youth just relocate to disrupt a different, Manilow-free parking lot? There exists a prevalent belief in our culture that classical music has the ability to enhance an individual. Parents play classical music in their newborn’s crib in the hope that it will tack a few IQ points on. 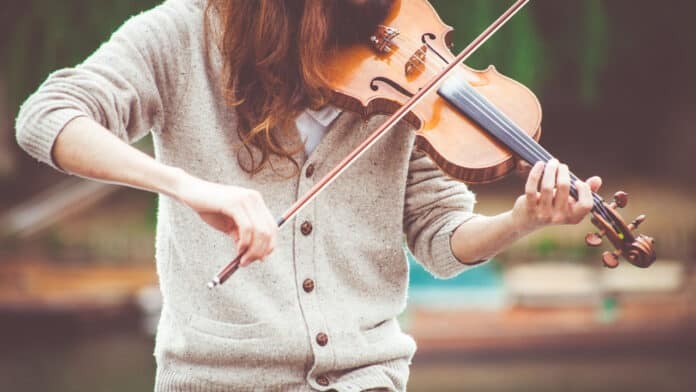 Some may play classical music to older children or adults with the hope that it will cultivate them in a cultural sense. In this case, however, the children’s behavior was not altered, nor was their character seemingly enhanced. They simply scattered and relocated. The music may have been territorial in nature, marking the lot as off limits, or perhaps establishing the impression of the lot being a controlled area. The music may have deterred because it was unexpected. Studies show that music that does not match ambiance is off-putting, and may lead to lower satisfaction and increased weariness. The patrons may have simply disliked the music, in a mechanism similar to administering an electric shock or filling the space with an unpleasant odor. Classical music and Barry Manilow seem to be effective deterrents of loitering in empty, outdoor retail spaces. The mechanism responsible for this effect remains generally unknown. Better understanding of this phenomenon is important in order to predict what situations and locations it will be effective in, as well as how it will affect honest customers. The LPRC is also exploring Mosquito units, which emit an unpleasant, high-pitched tone that only individual’s cochlea below a certain age threshold (~18-25) can detect. See media reactions to this research here: BBC and SoundGenerator. This post was originally published in 2017 and was updated April 2, 2019.